An Art Deco champagne cooler. Nickeled brass with bakelite handle detail. 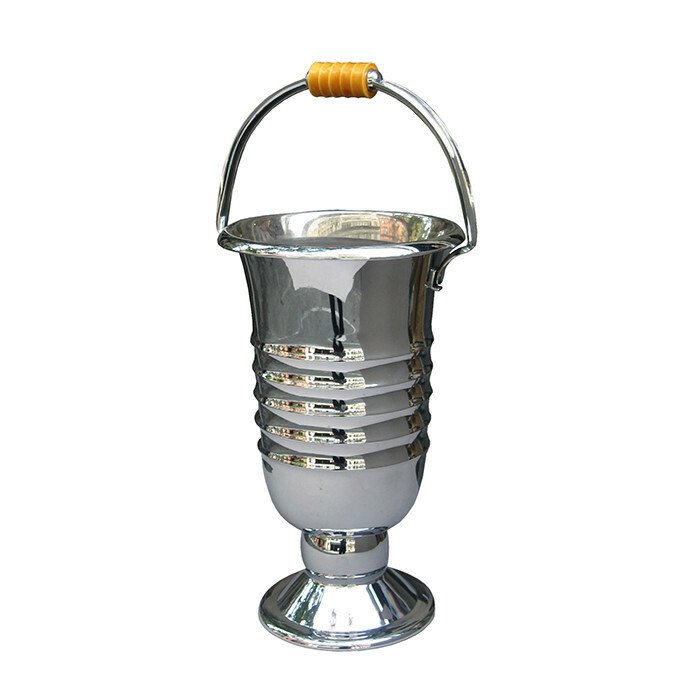 Dimensions: H:16 ½ H with Handle: 23 Diameter: 10 Inches.